Lockwall Communication is a company owned and managed by the bodylanguageconsultant Gabriella Lockwall who has a long and vaste experience of working with hosting and social skills via nonverbal communication. Her method is used in many different types of enviroments. Gabriellas own method was developed between 1997- 2004 at the famous Academy of Culinary Arts in Grythyttan. Gabriellas method focuses closely on each indidual putting them in focus and concentrating on building each persons practical communication skills. This method is used to look closely at the needs of each individual and to develop them personally by using personal feedback on practical exercises. At present Lockwall Communication have courses and seminars and coaching sessions with individuals and groups in the businesssector, educationalsector and the touristsector. The company also have coachingsessions with indiviuals. All guides at The Vasamuseum since 2004, are trained by Gabriella in practical presentations skills such as voiceproduction and speech and body language. They are also trained in hosting and social skills by Gabriella. Lockwall Communication have collaborated with many different companies such as Adlon Hotel, Yh Educations and many more. During the autumn of 2010 Gabriella worked as a projectleader for Teamdevelopment and Communication skills and Hosting at The National Museums of World Culture. Since 2008 The Department of Advertising and PR at Stockholm University is a regular client of Lockwall Communication. 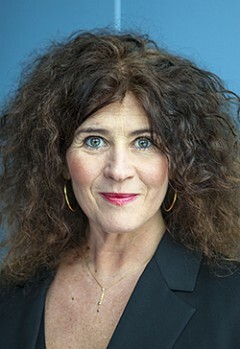 Lockwall Communication is also a reacurring drama teacher att Calle Flygare Theatre school since 1997. The special quality of the method of Lockwall Communication is a positive and humerous atmosphere, clear and simple practical tools and straightforward advice in voiceproduction and speech, bodylanguage and posture uniqely created for each individual. Lockwall Communication is well known for its quick results. We collaborate with specialized consultants in rhetorics and psychologists and other professionals when wanted. Our courses can be held in english or swedish. Lockwall Communication is based on strong ethical grounds and we support Doctors without Borders and Amnesty international. Gabriella trained as an actress at the Royal Academy of Dramatic Art (RADA), in Glasgow, Scotland and holds a BA in voice production and speech, body awareness and pedagogics.